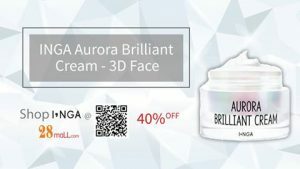 3D Face without botox and surgery with Korea beauty highlighter Inga Aurora Brilliant Cream – high moisturising to create dewy Korea make up style. Online Shopping Mall Asia – 28Mall.com internet seminar in Singapore. Want to invest in franchise business but worried of staff costs, renovation and rental? Now you can become licensee of top brands online including luxury watches, fashion brands and International retailers via 28Mall revolutionary online shopping system. Online Shopping Malaysia has a NEWComer www.28Mall.com – Asia’s Luxury eMall for Brands & Retailers that rewards members via its Share & Shop for FREE Program. Worried of buying fake items or getting a scare when you receive items that look good only in the online photos, but is a cheap, inferior quality item when you receive your parcel? Rest assured as 28Mall.com only sells original brands and it deals with the brand owner, retailers and authorised distributors of such brand. No matter if you are looking for luxury watches such as limited edition Patek Philippe, IWC, Rolex, or designer bags such as Gucci, Prada, Hermes, Louis Vuitton? Check out 28Mall.com Luxury online mall section, or shop for popular korean skincare and korea cosmetics from korean beauty brands such as Sulwhasoo, Laneige, Whoo, Papa Recipe, and more.